Square, the service that makes "commerce easy for everyone," has just expanded its mobile payment/commerce service to Canada. For those unaware, Square is an app/accessory that allows you to accept credit card payments anywhere from Android or iOS devices. The company provides a free card reader and app in exchange for a small percentage of each completed transaction, giving small and independent businesses an easy, inexpensive, and secure way to open up their products to those paying with plastic. We are focused on making commerce easy for everyone. Square builds free tools for local businesses of all sizes and types to thrive. We’re thrilled to introduce Canadian businesses and their customers to the most seamless and enjoyable way to do business. Additionally, Square's Android app got a minor refresh, changing its name from Square Card Reader to Square Register and receiving a new launcher icon that's nothing if not easy on the eyes. 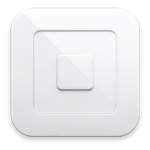 For more information on Square's expansion, see the original release, linked below.